I was pretty nervous for the exam, but it was surprisingly easier than I thought it would be! I thought I might do a quick blog post about the study methods I used, in case some of you out there are wondering how to study. 1) Inman’s Review (CDs, Book, 1054 practice questions): This was perhaps the most helpful review method I used. The cost is pricey ($380!) but I believe it was worth it, because it helped me pass the exam on the first try, and some of the practice questions were identical or very similar to the ones I had on the real exam. You can attend an in-person session, or get the lecture on CDs. I chose the CD method because I figured it’d be easier for me to rewind the CD, pause the CD, etc in order to take notes. The book (3-ring binder) is lengthy (about 200 pages) but goes over all 4 domains: Principles of Dietetics, Nutrition Care for Individuals and Groups, Management of Food and Nutrition Programs and Services, and Foodservice Systems. And if you don’t know how a certain answer was reached in the practice questions, you can email them and get the explanation! So that is also a great service. I emailed about one of the practice questions and got the explanation less than 24 hours later. 2) RD Exam App, by MedPreps: This is a super awesome app for your phone or tablet!! It is $19.99 and I stumbled upon it while searching to see if there was an actual RD study app that existed. There are a few other ones, but I went with this for the design layout and the positive reviews. Glad I got this!! 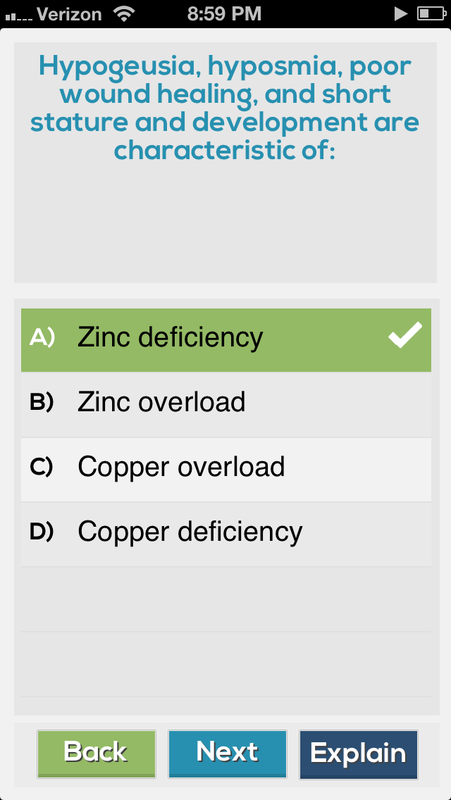 It has over 1900 multiple-choice practice questions, and you can answer questions in random order (“quick start”), or just get questions from a certain domain/area of dietetics. The app also lets you check your results. It gives you a pie chart and percentages of your lifetime as well as the pie chart and percentages for your current session. Additionally, there is an “explain” button for each question, so after you answer it you can hit “explain” to get the reasoning. GREAT for on-the-go studying while in waiting rooms, by the pool, during commercial breaks when you’re watching TV, and using when you are on an elliptical or stationary bicycle. It can be addicting, too. Beware, however, that some of the words are spelled incorrectly, or a few of the explanations had nothing to do with that particular question, so there are mistakes in some of the questions/answers, which the makers of the app should fix! 3) Test Prep Review’s RD Exam Question of the Day Email Service: This is a FREE question-of-the-day service that is sent directly to your email. The questions tended to be essay questions rather than multiple choice, so it’s not in the same format you will be tested on, but it does give great explanations and definitions that are helpful to know. I did notice that the email service ends after 31 days – so I imagine if you re-signed up after that, you’d get the same 31 questions again. But it is a nice service to take advantage of. 4) DietitianExam.com Question of the Week: This is another free email service, where you get a free multiple choice question per week, with a full explanation of the answer. The email gives you a link, so the question is only available for that week, and you won’t be able to access it after that week…so make sure you stay on top of it, otherwise you will lose that question. These questions were multiple-choice so they are in the same format you will be tested on. Worth it! Go sign up. 5) RDstudy.com Video of the Week: This is also a free email service you sign up for! You get a link emailed to you once a week, which you can open up and access that week (so the video is only available for 1 week, don’t get behind). The videos are short (a couple minutes) and are in power-point with voice-over format. At the end of the video is a small multiple-choice quiz (5 questions maybe) and you get scored at the end. You can watch the video and take the quiz as many times as you want. This is a great free study service for those of us that learn better from watching and listening to videos rather than reading black and white text. The videos I recently received talked about TPNs and FTEs. So those are some suggestions to keep in mind when preparing for the RD exam…as you can see, there are a lot of different formats to fit any learning style — in-person lectures, smart phone apps, CDs, paper notes, videos, and emailed questions. I just touched on the 5 things I used, because there are a lot of other study materials available (including RD in a Flash flashcards). Hope you find what works for you! Congrats! And thanks for listing some great resources! Congrats and thank you for this post! I knew about some of these but did not know about the app, which I am now super excited to try. My exam is in 10 days and I have had trouble for 2 days logging into RDexam.com and need something more reliable. I am a non traditional student(49. with a spouse and 2 children) living in rural west central Illinois, I stumbled upon your block . First , A BIG CONGRATULATIONS!!!!!!!! to now being a registered dietician !!!! 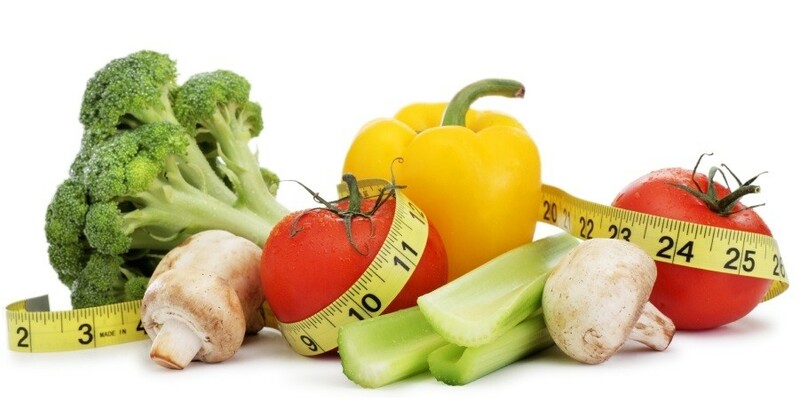 second Thank you for sharing the information you have learned along this path of becoming a registered dietician, it has given me some good insights and ideas of what I need to do to make this a reality for myself 🙂 Thank you so very much!! Welcome to my blog, feel free to look around! How Many Sugar Cubes are in Your Favorite Soda? What does an RD eat?